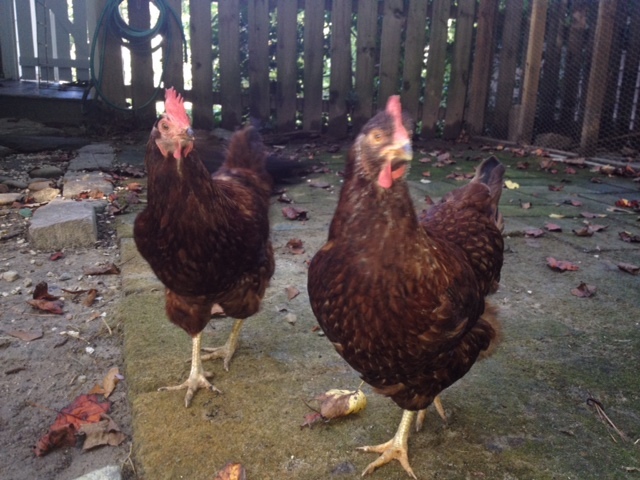 Two of my naughtier chickens, Missy & Pinky. Leave it to a bunch of chickens to teach me a lesson. About what makes a party. As in the 7 crazy chickens I have living in our backyard. This is Barbie. Shhhh. 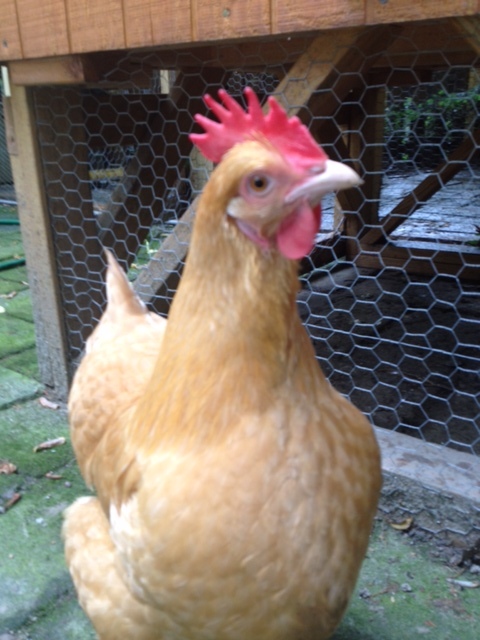 Don’t tell the others, but she’s my sweetest, wisest and favorite chicken. Got my first chickens about four years ago, the day before my first date with my now husband. That was one lucky week. Folks always want to know do we get fresh eggs? The chicken math adds up to about an egg every other day from each lady. Sometimes more. Sometimes less, depending on their mood, luck, time of the year, the stock market. And nothing, by that, I mean nothing, makes a better “Thank you,” gift than a dozen fresh eggs. Invite me to your house for dinner? I’ll show up with a dozen fresh eggs. Which leads me to last year, when my father-in-law wanted to come to see our daughter in her school orchestra recital. He and his wife live a couple hours away. He wasn’t up for doing the driving. His wife wasn’t feeling tip top either. Two hours each way to sit and listen to someone else’s grandkid’s squeaky orchestral recital? Yes, we’re talking true friend. No better way to say, “Thank you,” I figured, than send Tommy home with a dozen fresh eggs. I looked at my stash in the fridge to find I only had 11. What could I do? How rude to give only 11 eggs! Mrs. Lucy Grubbs enjoying her treat, ignoring me and her waistline. The chickens paid me no mind. Ignored me, as they do when there is something delicious that deserves their attention more. There was a heaping pile of what you and I would call trash. Put it down your garbage disposal. If you’re green, perhaps, in a compost heap. 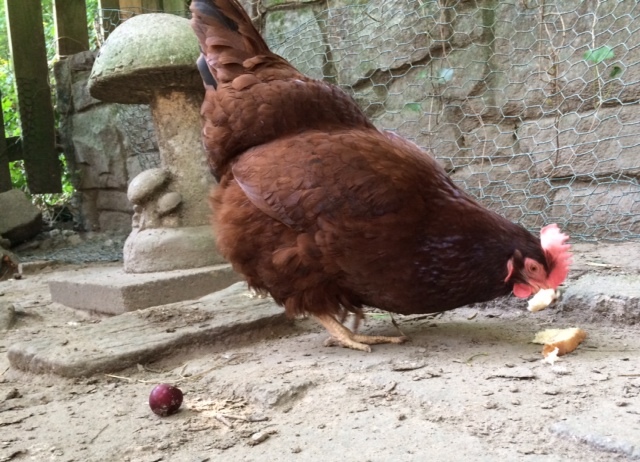 When you have chickens, you toss it the chickens’ way—stale bread, over-soft tomatoes, apple peels and such. 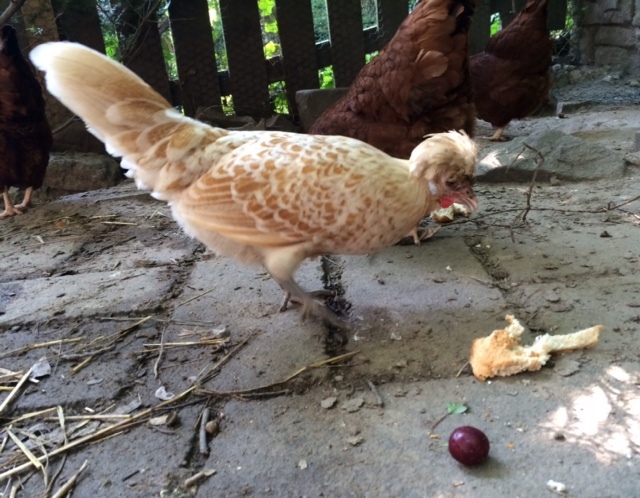 Nugget the chicken going to town on a piece of old bread, keeping an eye on a cherry for dessert. What is trash to me, is treasure to the chicken. A party! A fiesta! A moment to be excited about what has come their way. I went back inside, packed up the 11 eggs in a carton. I opened the carton to show only 11 eggs. 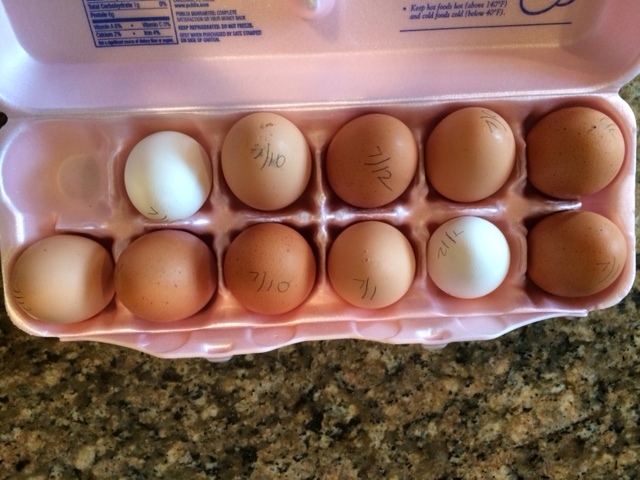 A “Tommy Dozen”…11 eggs instead of 12. What do you expect from a man who would drive a buddy to his granddaughter’s recital in another state? Tommy, being Tommy, howled with laughter. He was delighted and honored. Took those 11 eggs and headed back down to their hometown. I hear The Tommy Dozen story has now been told many times at their church. It’s become part of our family lingo. You might not have all that you expected or counted on, but look at it the right way and you’ll see you have enough. A bounty. A party. A fiesta. For that, I thank the chickens. I would love to hear about your version of a Tommy Dozen!